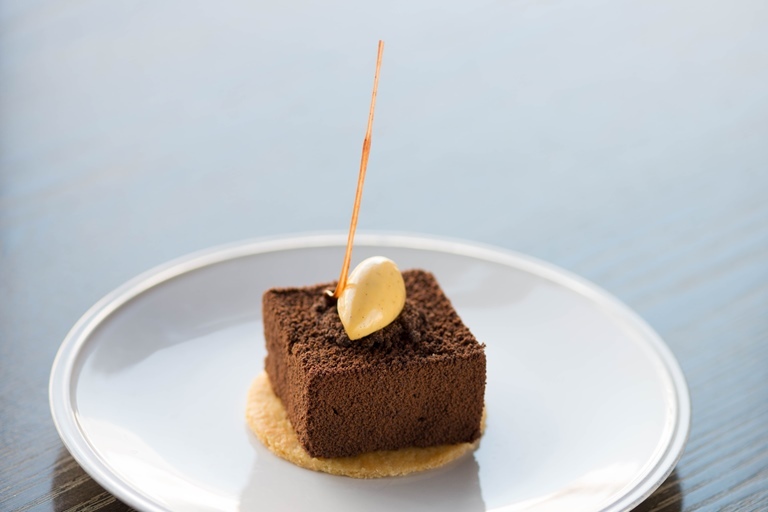 A firm favourite on the Odette's menu, according to Bryn Williams this nostalgic chocolate orange dessert recipe began life as a 'happy accident'. With layers of sponge, orange jelly and chocolate mousse on a delicate sablé biscuit, this tangy treat would make a glorious dinner party showstopper. Discover more about the creation of this dessert and its many stages of development in our Mind to Menu interview with the chef.